A great traveling ruler. When you are packing your rulers to go on a retreat that 24" ruler is always in the way. The Fold Away Ruler is the perfect solution. 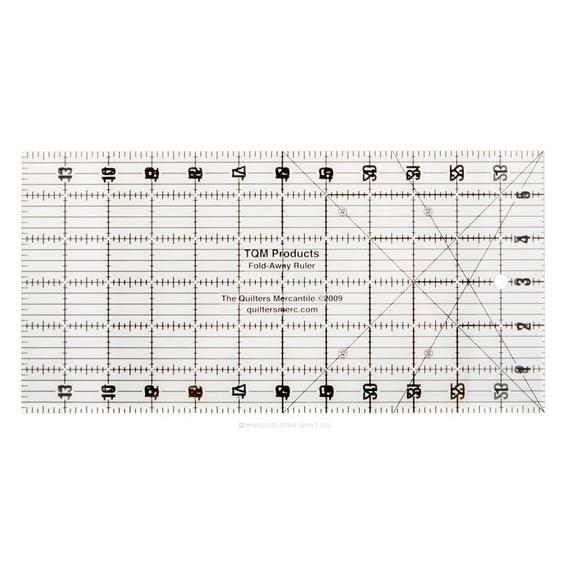 A 24" ruler that folds down to 12 inches and packs easily in a ruler case or suitcase.